Phil Mickelson has never been one to shy away from trying something risky during a golf tournament. And as we all know, it doesn’t always go well for Phil when he tries something like that. Remember his drive on the 72nd hole of the 2006 U.S. Open? 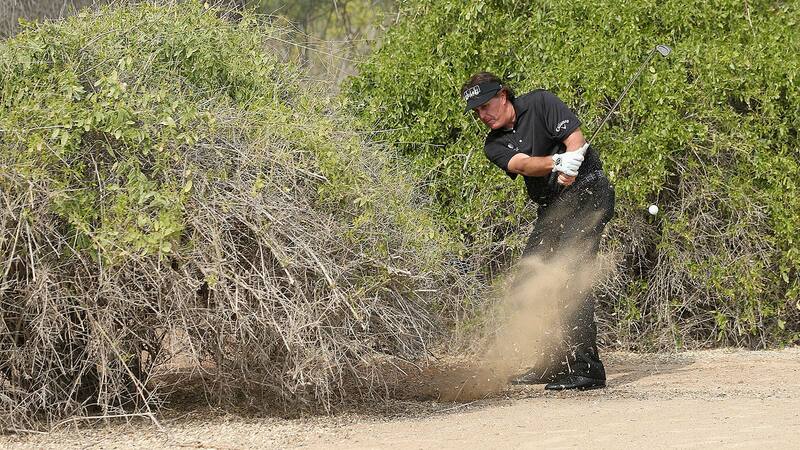 Mickelson was leading the tournament by a stroke when his drive on the 13th hole landed under some shrubs. Instead of taking an unplayable lie, which would have cost him a penalty stroke, Mickelson attempted a right-handed shot. The ball hit his club twice, which resulted in a penalty stroke, and he ended up with a triple-bogey 7 on the hole. Mickelson eventually lost the tournament by a stroke. "It happens, it happens but it never crossed my mind I might double hit it," Mickelson said. "I was just trying to dribble it out of the bush because I couldn’t get the unplayable penalty lie to give me a shot without stroke and distance and I felt it was worth the risk. It not only cost a penalty shot, but it also stopped the ball from going to a spot where I could hit again." Pablo Larrazabal ended up winning the tournament, finishing a shot ahead of Mickelson and Rory McIlroy.